The Samsung Galaxy S7 edge is being tested with Android 7.0. How do we know that? 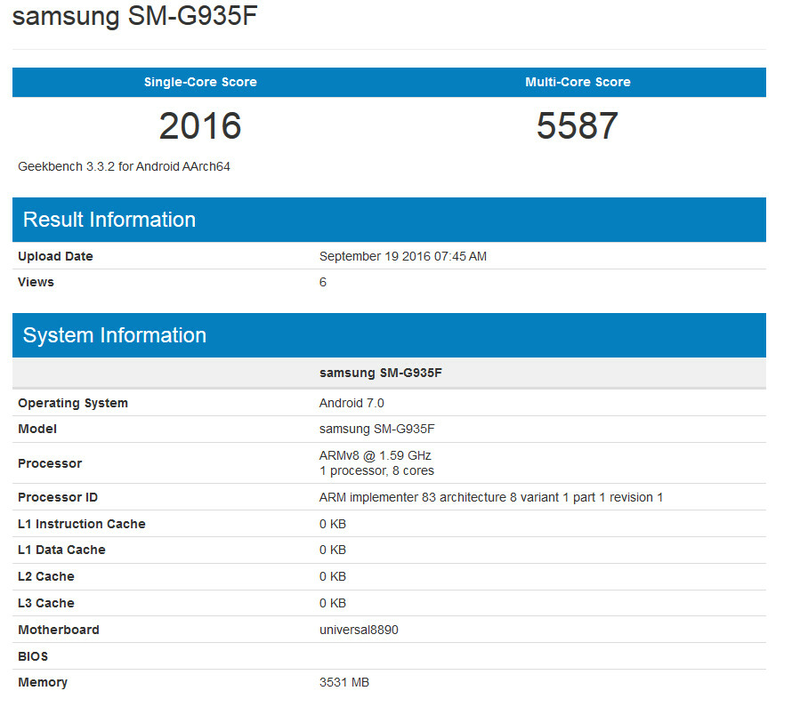 A Geekbench test reveals that the SM-G935F, also known as the Samsung Galaxy S7 edge, was recently put through the benchmark test with Android 7.0 running the show. Versions of the phone containing Android 6.0.1 have scored 1000 to 1900 on the single-core test, and 4200 to 5300 on the multi-core test. Running Android 7.0, the Galaxy S7 edge tallied single core and multi-core results of 2016 and 5587 respectively. The version being tested with Android 7.0 is not a U.S. model, which we figured out by seeing that the Exynos 8890 chipset was found under the hood. The latter offers an octa-core CPU. Only models in the states and in China are powered by the Snapdragon 820 SoC, which features a quad-core CPU. As we pointed out, the Galaxy S7 edge currently runs Android 6.0.1. Just because a Geekbench test shows Android 7.0 being tested on the handset doesn't mean that you should expect the update to arrive on your phone shortly. Those with an unlocked version of the device will get first shot at it, and U.S. carriers will be undergoing their usual testing to make sure that their networks play nicely with the new Android build. Samsung CEO we may have dropped the ball but let's give Android N out fast to clear are name and get at least some good promo. Bravo keep it going Samsung. I really hope that's the case I have a T-Mobile Samsung Galaxy S7 Edge and I haven't got an update in a long time since buying it in June. Stock Android 7.0 is pretty screwed up right now. Huge battery drains, lower benchmarks and real world performance, Chrome performance getting even worse. Hoping that 7.1 fixes that. And please don't reply that your Nexus doesn't have any issue. I have enough trusted resources to prove otherwise. "we might not necessarily"^ *your Autocorrect's a b***h.
Seems to me that every new iOS and Android version has so many bugs that they're not all resolved until just before the next version comes out. It's a pain to find them again and again but here's one from XDA: https://www.youtube.com/watch?v=_a7AC2UXpYg I'm sure you already know about the battery drain on the 6P. Or should I get a link for that too. 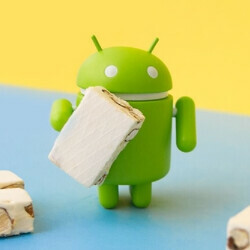 http://www.ubergizmo.com/2016/09/android-7-0-nexus-6p-battery-drain/ Some carriers even halted the rollout of the update on how s**tty the update was. Google itself isn't going to release the new pixel phones with 7.0. Android 7.1 in a month after the release of nougat doesn't sound very good to me. Let me guess, you own a nexus phone and consider yourselves better than other android owners to compensate for the sadness in your life. Guess what, I am on the android google+ group and subreddit for long enough to know every issue android faces. Just because you don't have a bug doesn't mean the software is perfect. It just means you are not a good tester or your standard for good software is just poor. "And wow insecure much that you have to stoop this low by suggesting that I feel superior in anyway because I use a Nexus as well. The fact that you think this, says a lot more about you." You were the one who started the personal attack. I just returned the favour. That's how it works in an argument. If you have a problem with that, don't comment like that in the first place. Also, you went from aggressive from "I don't have any credible source" to "No software is perfect". Shows a lot on your beliefs on how great nougat is. P.S. : No one considers stock android users as superior master race. Flashers and modders are. CM >>>>>> Stock android. I'll be happy with my marshmallow phone and won't flash 7.0 in my life. Will directly go to 7.1 because I don't want my phone to take a dump every time I need it. If you think asking for one of your sources is a personal attack, you have a serious issue. Also I didn't say you don't have a credible source, I was asking for the ones you had. I do think Nougat is great, but also know no software is perfect. Especially with a lot of external influences (like apps that need to be updated). PS that was meant sarcastically. I use CM myself (dirty unicorn), only went to stock 7 to test it out. As soon as DU is updated, I will switch back to a CM. Hopefully they enable adoptable storage in the update.